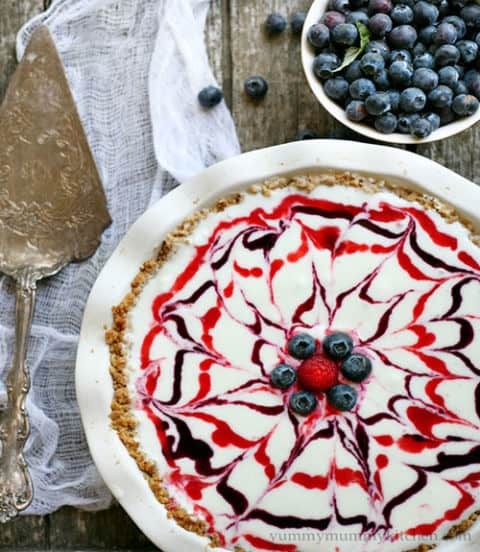 Add some variety to your desserts this 4th of July with these 15 showstopping, patriotic goodies. 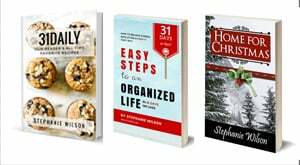 From cupcakes to pretzels, pies to ice cream, cookies to berries — 31Daily has you covered. 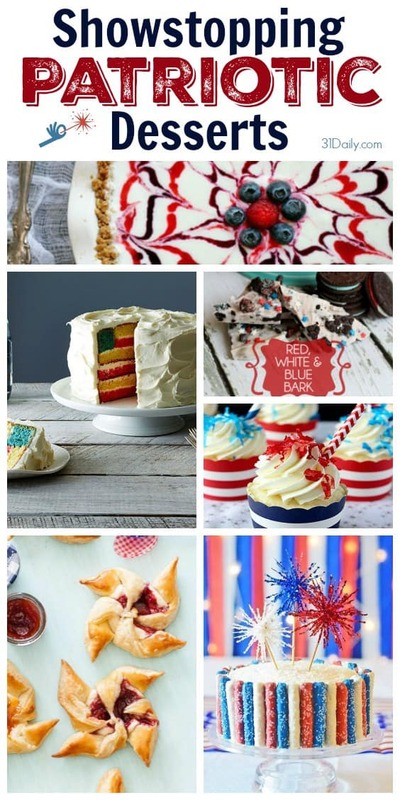 Lots of inspiration for holiday sweets and American pride. White chocolate-dipped pretzels line the outside of the moist vanilla cake. 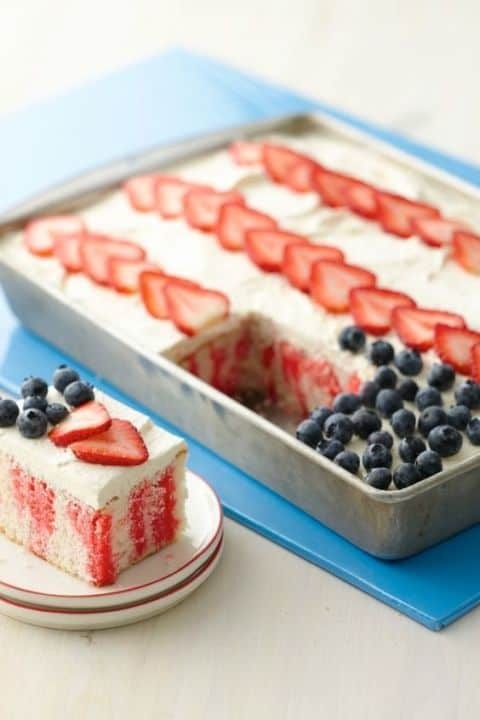 This dessert will surely be the main attraction of your 4th of July menu. 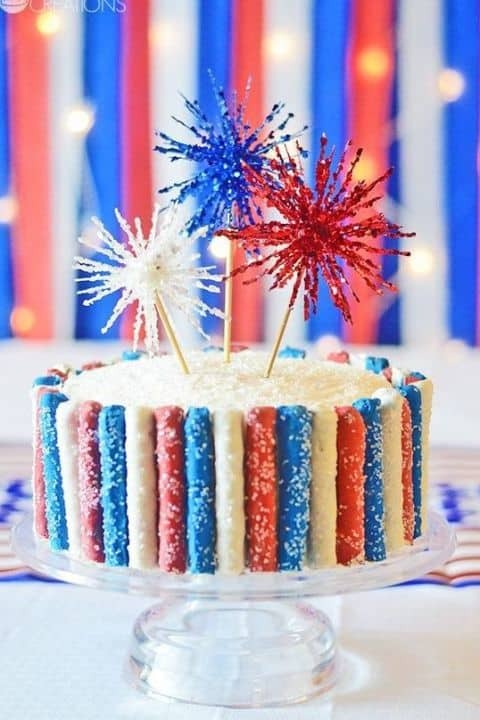 Get the recipe at Sprinkle Some Fun. 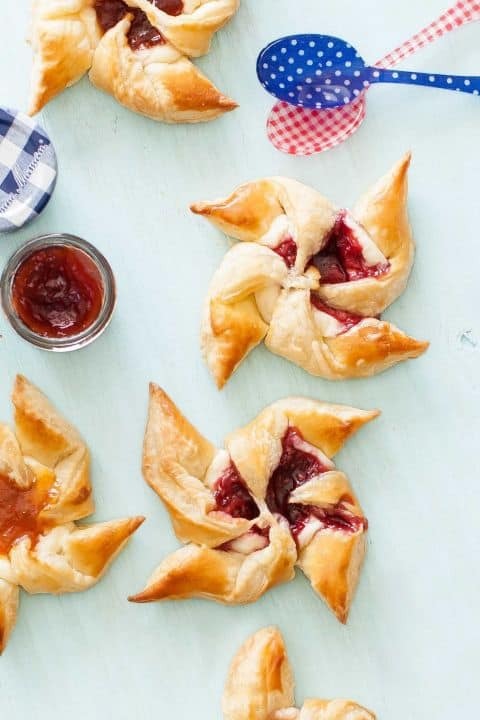 Here’s your go-to summer party shortcut: these jam pinwheels, dreamed up by Kayley McCabe of the blog Handmade Charlotte. Bonus: They’re ready in less than 30 minutes. 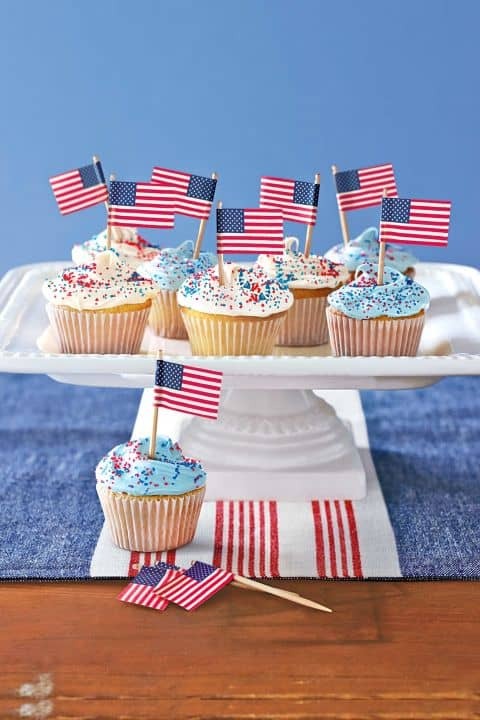 Keep it classic and simple with this made-from-scratch cupcake recipe—top your treats with mini American flags! 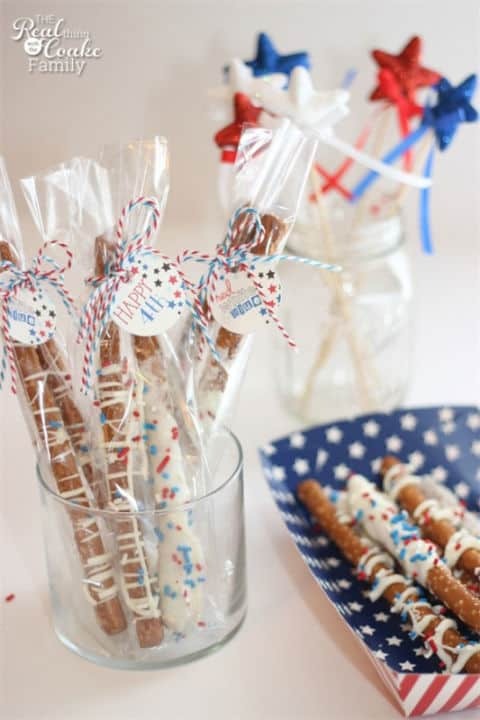 These pretzels are the perfect addition to a festive red, white, and blue party. 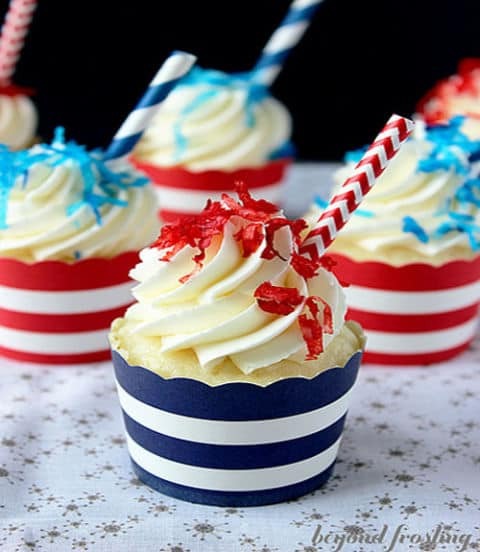 You may not be at the beach for the 4th of July, but escape to a tropical getaway when you taste these piña colada-inspired cupcakes. 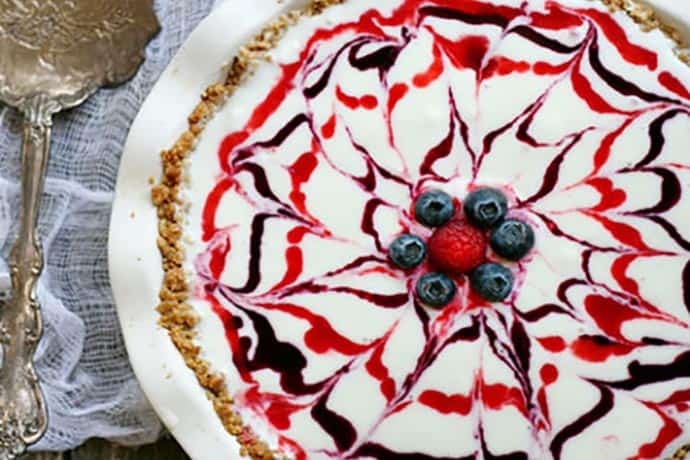 This gluten-free pie is the perfect centerpiece for any table. It looks so good, you won’t want to share. 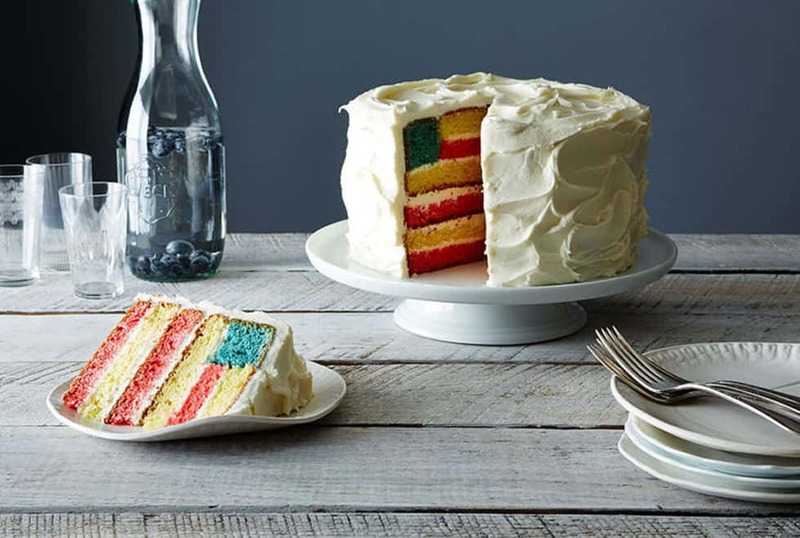 Give guests a surprise when they cut into the cake. 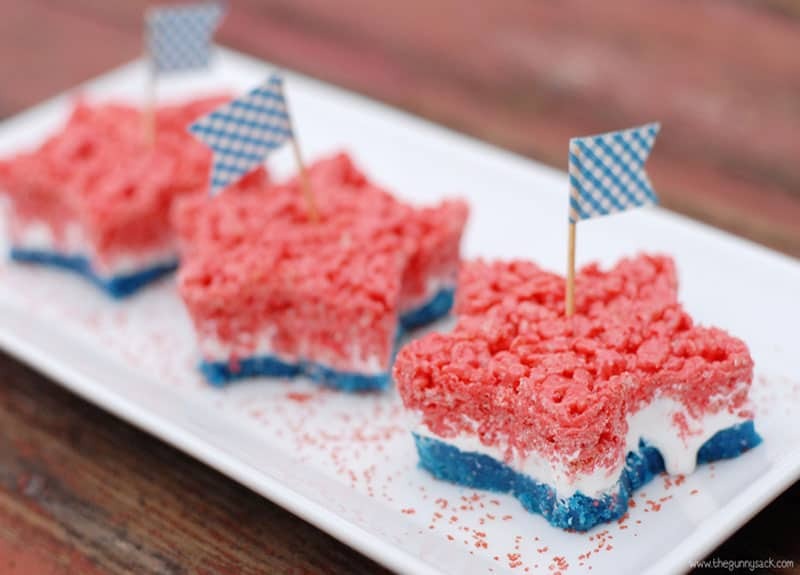 The Classic Rice Crispy Bar with a bright and patriotic twist. 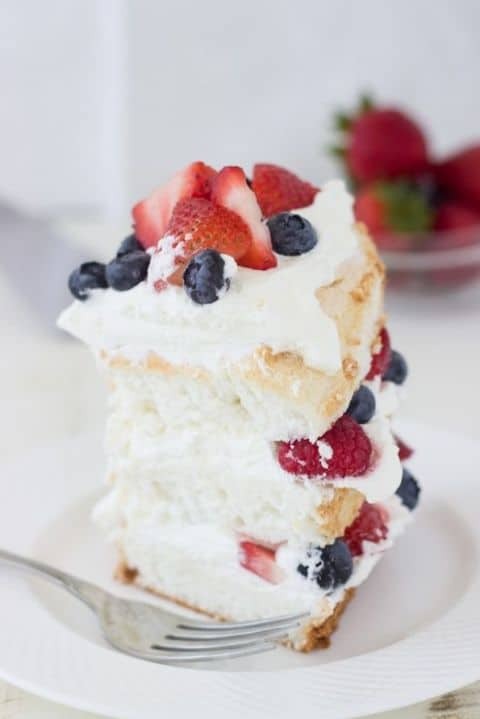 This light and airy cake is studded with berries and filled with homemade coconut cream. 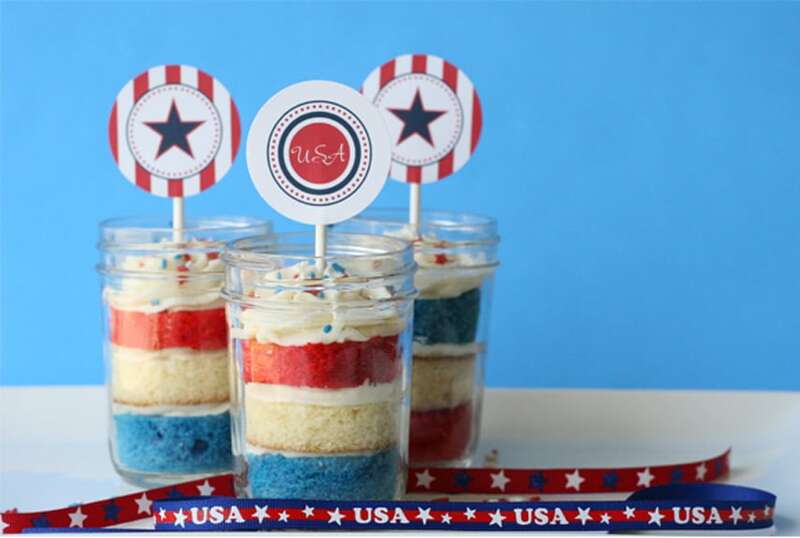 Patriotic Cupcakes in mini mason jars. 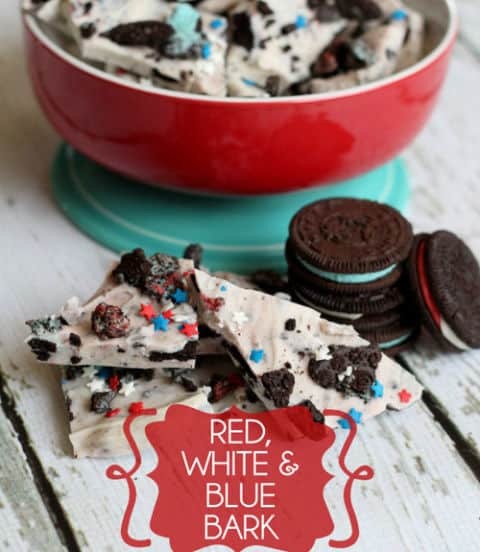 Vanilla candy coating, sprinkles, and Oreos combine to make a seriously sweet snack. Get the recipe on Lil’ Luna. 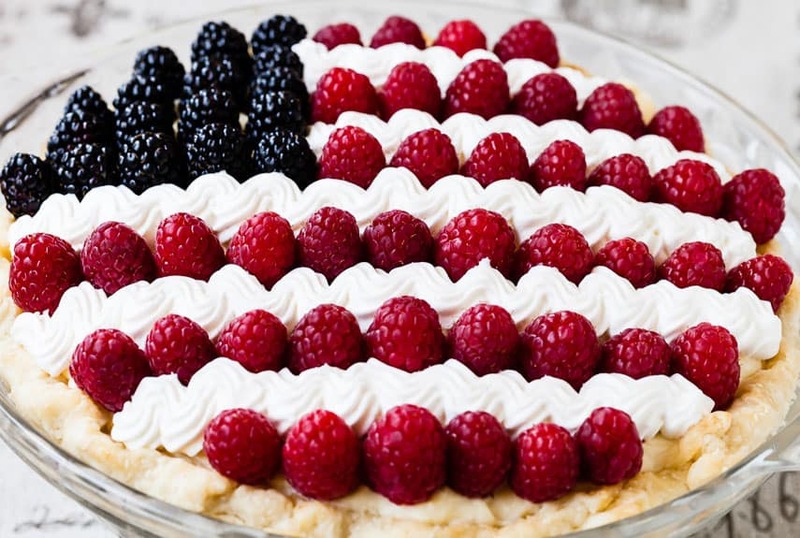 There isn’t a better combination that summer berries, the 4th of July… and pie. Get the recipe at The Secret Life of a Chef’s Wife. 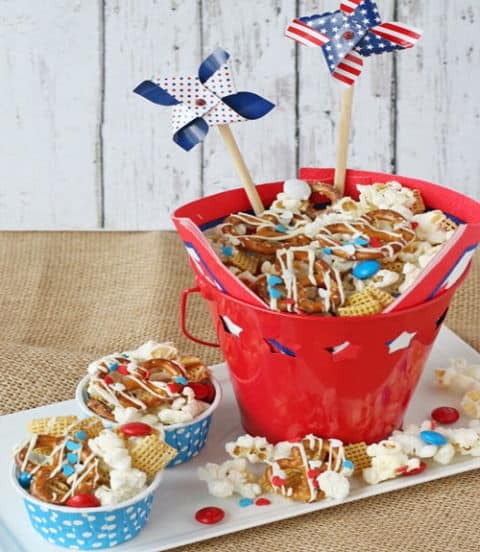 Bag up this all-American mix as a gift, or display it in a large bowl on your table. Get the recipe on Glorious Treats. 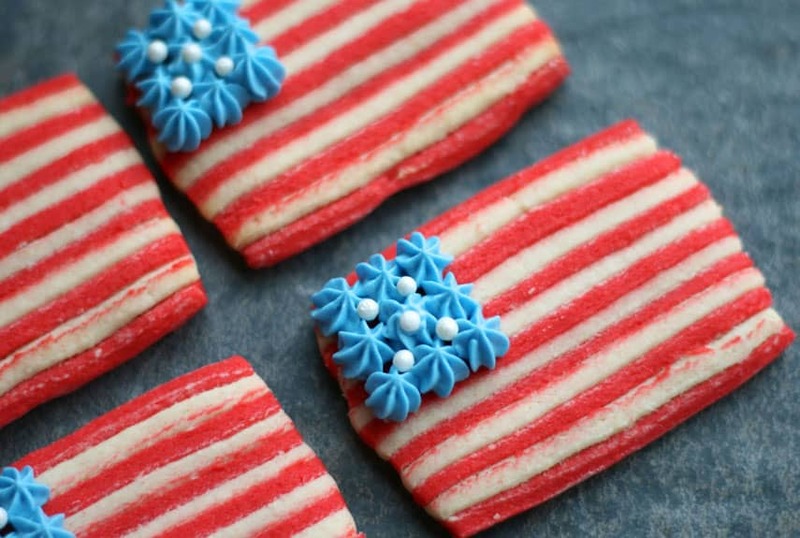 Show off your stars and stripes with these flag sugar cookies. 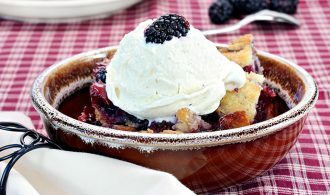 Get the recipe on Tune ‘n Fork. Made with a sweet whipped topping, cake mix, chocolate pudding, and fresh berries, this cake is worthy of its own celebration. Get the recipe at Betty Crocker. 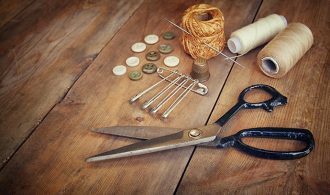 Poll – Will You Fly U.S. Flag?